I am a crafter, a passionate crafter at that. I started this blog years ago to share my passion for crafting with you, my fellow readers, who share my love for creating. When I need to refresh and reset after a long day, or before a long evening, I head to my craft room. Pulling out a few favorite tools and creating something without distraction is seriously rejuvenating. 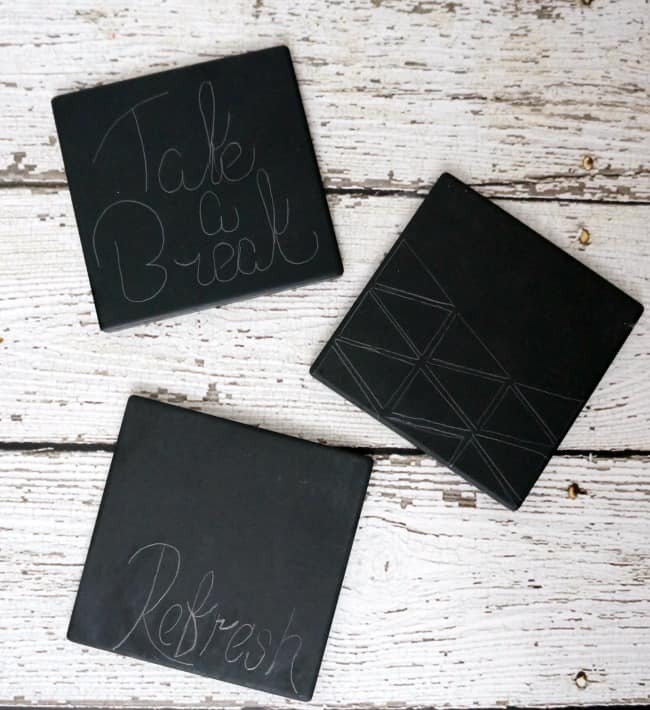 This week I created painted ceramic coasters. These were easy to make with supplies I already had in my craft room. Take a look at how I made them, how you can recreate them, and one of my favorite refreshing drinks to set on top of them. I tend to retreat to my craft room mid-day. Usually after a kid filled morning, before dinner homework and more kid’s activities. 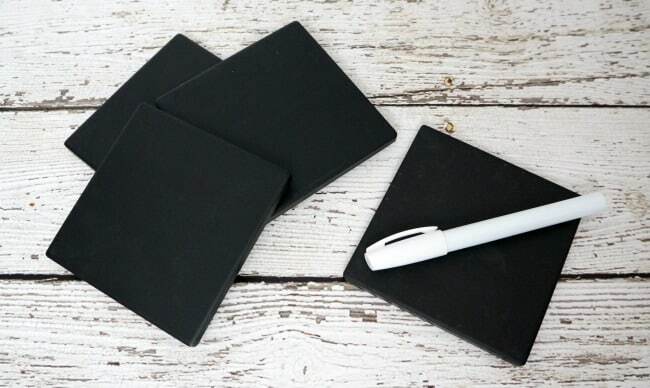 I picked up a set of black ceramic coasters a few weeks ago and was just waiting for inspiration to strike. When it did, I got to work. 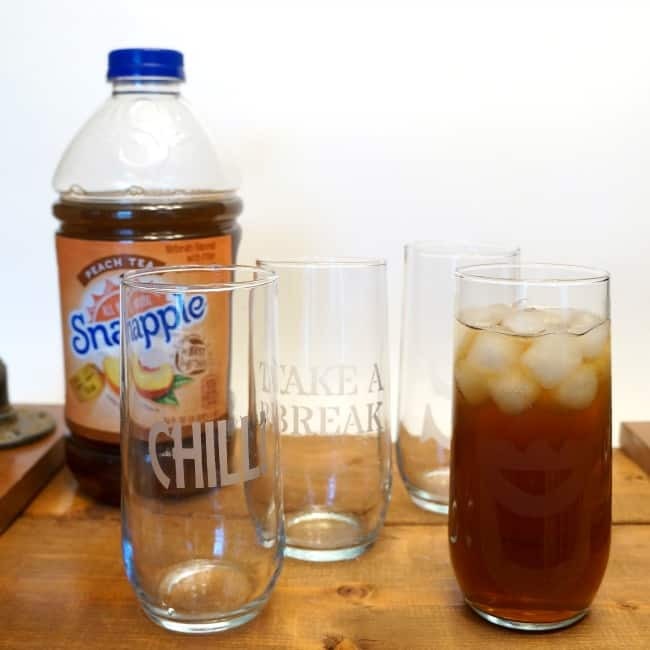 All of the supplies below can be found at Walmart, along with refreshing Snapple®, the perfect drink to sip and use with these coasters. 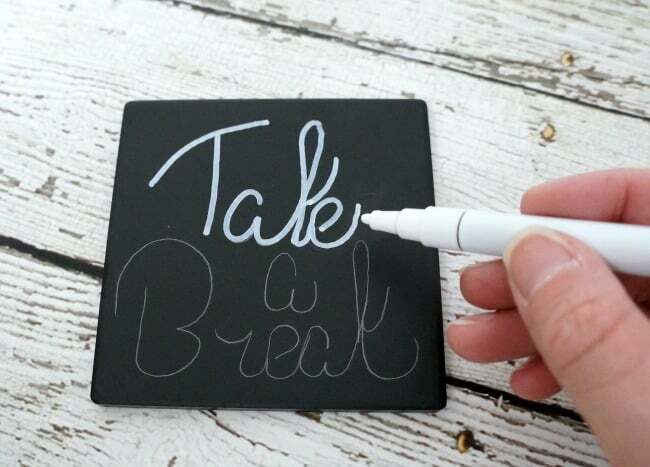 I started by sketching out a few phrases like “Take a Break” and “Refresh”. 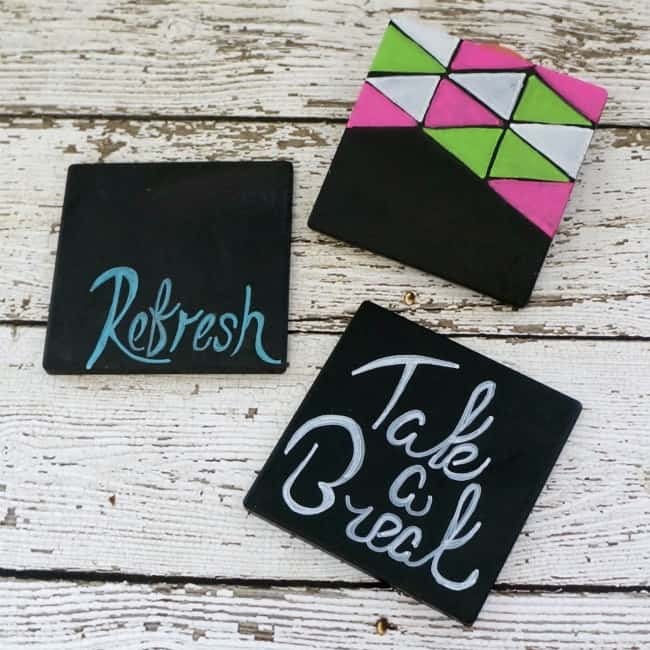 Little reminders to sit back and reset with a refreshing drink. 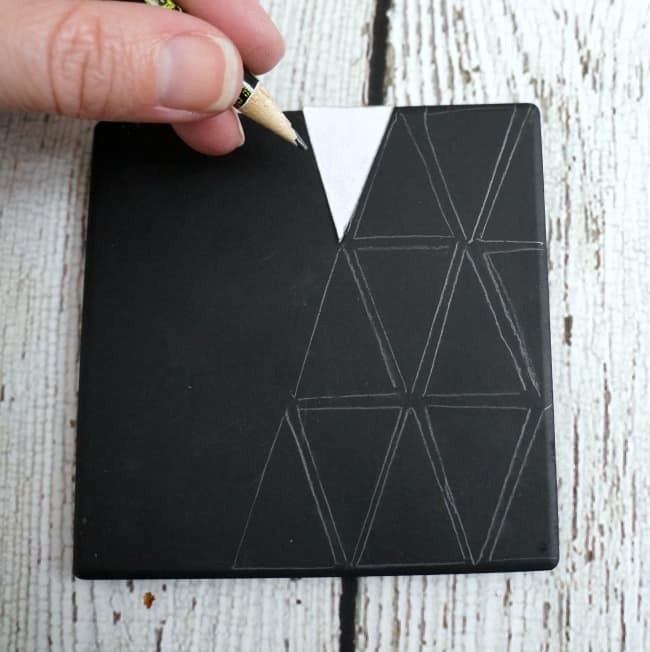 I also cut a small paper triangle and used it as a stencil to draw a geometric pattern on one of the coasters. Once everything was set in pencil, I traced over the designs with oil-based paint pens. To finish, I added adhesive felt pads to the back side to keep the coasters from scratching any furniture. My go-to refreshing drink to enjoy on these coasters is Snapple. 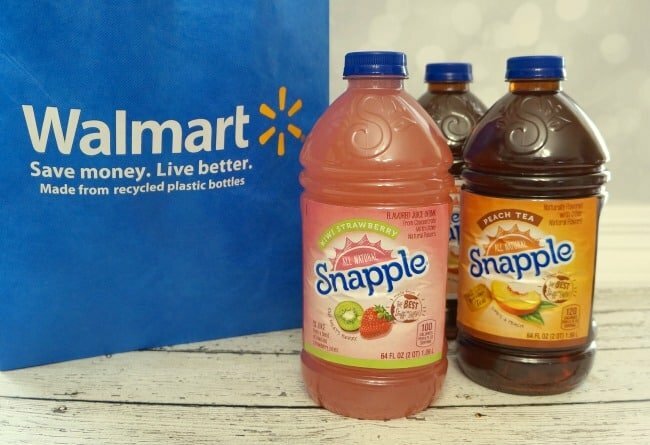 You can pick up more of your favorite Snapple juice or tea drinks for less, and this rollback deal is only available at Walmart. 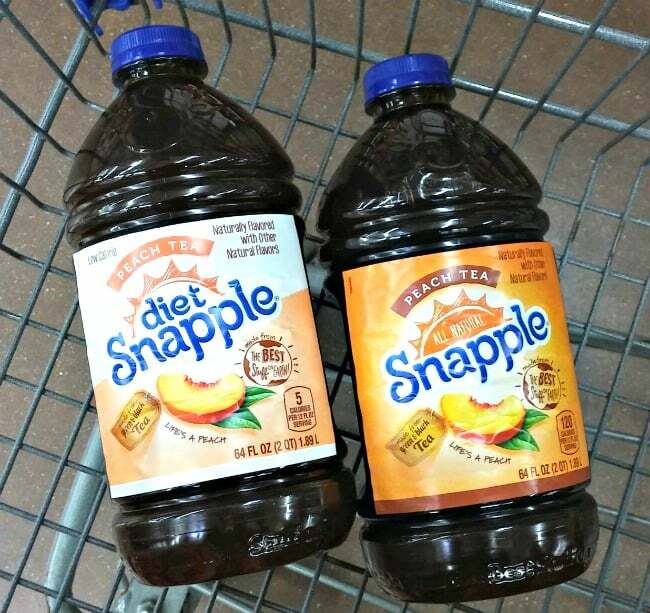 From 2/1-4/27 Snapple 64oz bottles are on a 3/$5 rollback. 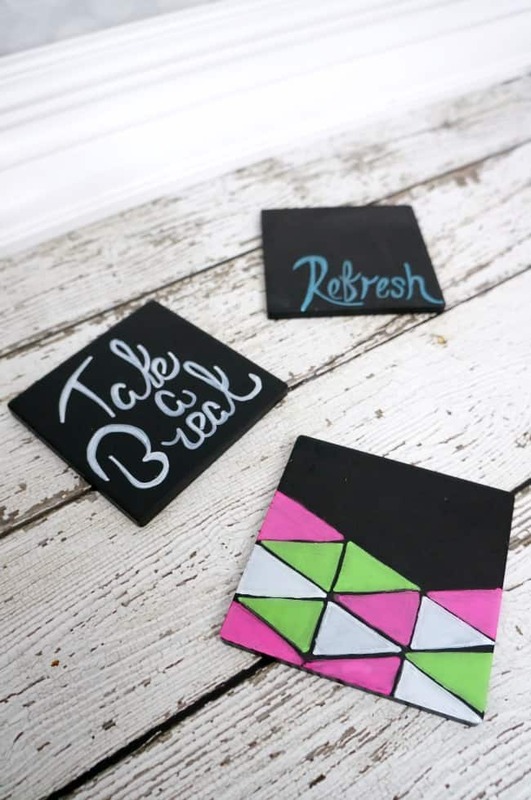 Easy painted ceramic coasters can be made to match your decor or make them with a friend in mind. 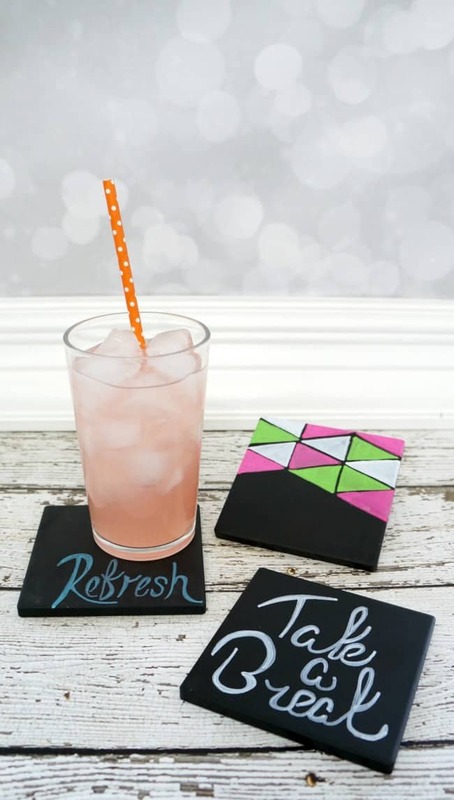 Include a few encouraging messages on the coasters and gift a set along with a bottle of Snapple. Crafting is my passion and it’s how I refresh mid-day. Tell me how you reset?